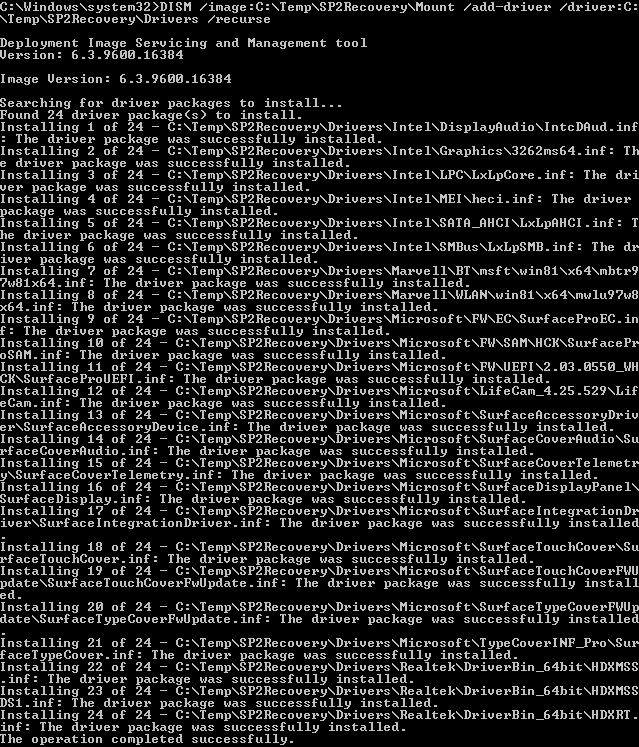 So what does updating drivers in your recovery image do? Microsoft have done a fantastic job with the Surface Pro 2 (best gadget I’ve purchased in years) but nothing is flawless and Surface Pro 2 is no exception. 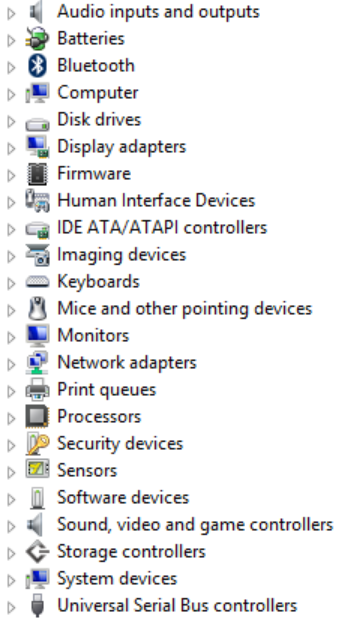 If you perform a reset on your Surface Pro 2 you will notice in Device Manager that there is an “Unknown Device”. As you probably know the “Unknown Device” is the “Surface Cover Telemetry” device. After some investigation I found that the recovery image itself does not contain the driver for this device. Ooops! Some people have found a temporary solution by manually installing the driver right after a reset before any Windows Updates are run but you’re going to run into the same situation again when you perform another reset on your Surface Pro 2. I’m sure Microsoft will release a hotfix for this problem in the near future however, that hotfix will not fix the recovery image itself. If we compare the Windows drivers repository (C:\Windows\System32\DriverStore\FileRepository) on the original recovery image against a Surface Pro 2 that has the driver installed we can see straight away that the Surface Cover Telemetry driver files are missing. Question: Do I lose my original Recovery Image that is shipped with the Surface Pro2? Question: Will this work on the original Surface Pro? Question: Will the recovery partition on my Surface Pro 2 be updated with the new recovery image when I use the USB stick? Step 11. Time to reset your Surface Pro 2 and use that new USB recovery image. Make sure you backup all your data and don’t forget to backup the original split images in C:\Temp\SP2Recovery\Source in case you want to use original image some day. I want the original recovery image back!